ConceptDraw DIAGRAM diagramming and vector drawing software extended with Chemical and Process Engineering Solution from the Industrial Engineering Area of ConceptDraw Solution Park offers you the set of useful tools for easy drawing various Process Diagrams. 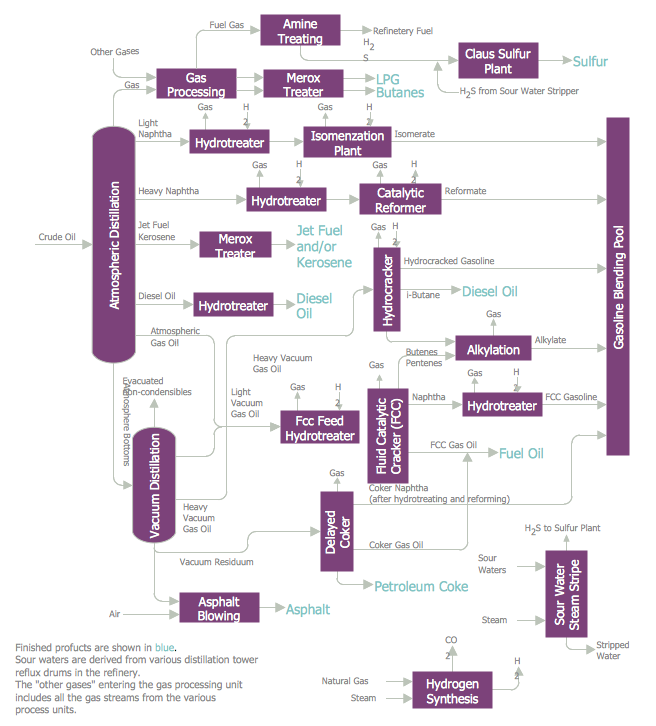 First of all, the Chemical and Process Engineering Solution offers 8 libraries with 468 process flow diagram symbols which can be easy dragged to your document. Then you can simply arrange them, type the text and title to get the excellent result – your own professional looking Process Diagram. It’s very fast and easy way of Process Diagrams drawing, and the most important – you don’t need to be the painter for this. Another way of drawing in ConceptDraw DIAGRAM is to use as the base the predesigned template or sample from the ConceptDraw STORE. 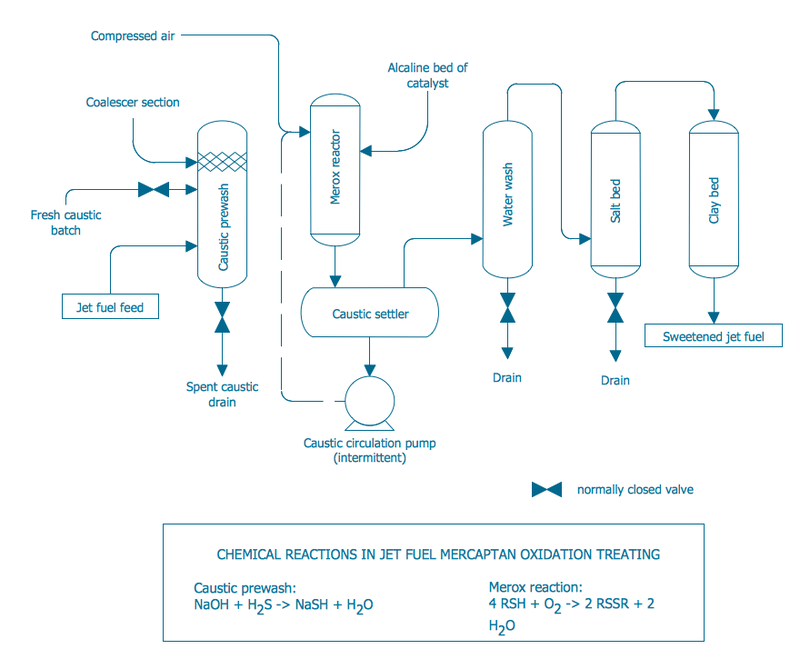 The set of Process Diagrams you see on this page was created in ConceptDraw DIAGRAM software using the Chemical and Process Engineering Solution. These samples successfully demonstrate solution's capabilities and professional results you can achieve. An experienced user spent 10-20 minutes creating each of them. Use the Chemical and Process Engineering Solution for ConceptDraw DIAGRAM software to create your own professional looking Process Diagrams of any complexity quick, easy and effective, and then successfully use them in your work and scientific activity. All source documents are vector graphic documents. They are available for reviewing, modifying, or converting to a variety of formats (PDF file, MS PowerPoint, MS Visio, and many other graphic formats) from the ConceptDraw STORE. 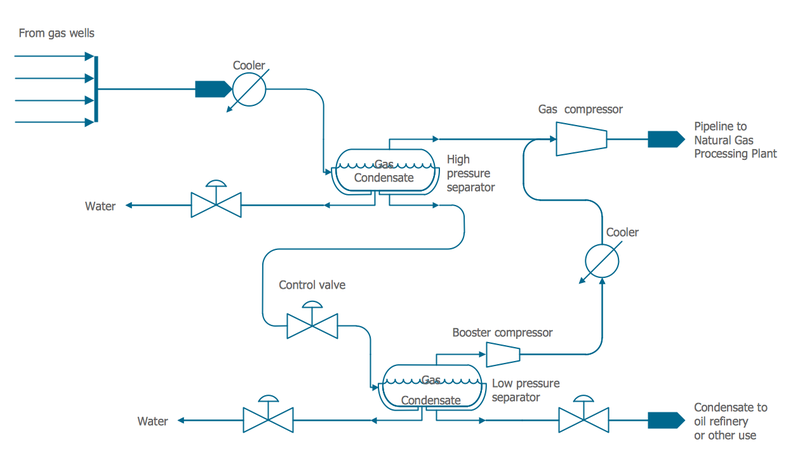 The Chemical and Process Engineering Solution is available for all ConceptDraw DIAGRAM or later users.